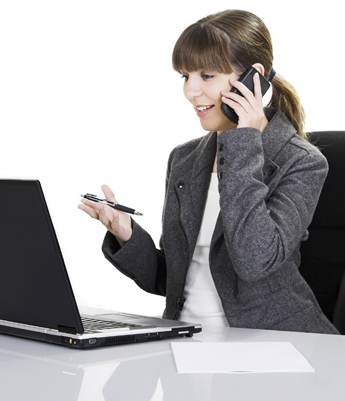 Utilize the power of the internet and our Transcription Provider Network. TTSP can walk you through the process of getting your transcription/documentation project done. Tell us about your needs and we'll help you realize your goals. We're here to help! We're here when you're ready to move to the next step in your document processing relationships...locally/nationally/globally. Looking to have those customer comments on your new product transcribed? Or maybe you need your personal coaching session typed up to highlight specific areas? Or perhaps you recorded your great-grandfather's service history journal and need the text to add to your family tree site? In our physically-secured, HIPAA-compliant environment, upload, assign and manage your A/V content from upload to transcription to editing to download. Our online platform also allows you to search, print, and monitor file access . Automated audio file upload is available when you use our integrated phone dictation/on-demand recording service . No matter how you record your information, our providers are ready to transcribe it. Use our Record-On-Demand service from any phone and the audio will be available for transcription within minutes to your transcription service provider. Dictated audio or video you need transcribed is processed and ready for you to pickup via smart phone, tablet or computer. You can even use programs like NCH™, CamStudio™ or Audacity™ to record your content and upload it to us. When you need your notes or information transcribed quickly, accurately, and affordably, leave it to the professionals in our network. As a leading transcription service network in California, The Transcription Service Provider can help you manage your daily transcription needs by working with each client to find a fit that works best. Whether you're a busy executive, a physician, a focus group provider, or a clinic, we have a transcription affiliate pool that is well-versed in production expectations, turnaround needs and specialty industries. Once we work out the details with you, we manage your daily workflow, productivity, turnaround, and support for your transcription needs. Whether you need one affiliate or several to keep your work flowing smoothly, we're here to help keep your documentation in order and on time. Get in touch with us to discuss your needs and pricing options for network transcription, secured document storage, and more. When you have a transcription project or you have an opening for a transcription provider , call us. Whether it is an interview, book, speech or any other single project--we can help. If time is short and you need us to contact you, complete the online form by clicking here. Tell us about the project, your turnaround needs, and industry-specific details. We'll go straight to the network of providers and get in contact with you to discuss the specifics to provide a direct quote. Whether you’re a company executive, insurance company, or large hospital, chances are you’ll need transcription services regularly to keep track of meetings, phone calls, and what is discussed at appointments. We offer various packages for businesses of all sizes with easy-to-understand payment options that you can handle online. We even offer dictation by the minute if you really only need one thing transcribed. Whether it’s medical transcription, meeting notes, or client phone calls that need to be transcribed, we handle everything accurately and securely so your company and clients’ information stays secure. When you need a direct private transcription provider or if you choose an outside company for transcription services, it’s important to know that they will keep your information safe and private, especially when your notes or recordings involve personally-identifiable information, financial records, or individual client information. Our network uses the online platform WaveScribe for transcription and document processing. The platform is HIPAA-compliant, secured and private. When it comes to document storage, count on us to keep your information secured. Reach out to our friendly and knowledgeable employees to discuss your one-time or ongoing transcription needs. Out network transcription providers proudly serve a full variety of industries and handle transcription projects of any size. Contact us to discuss your transcription or document storage needs. We proudly serve clients nationwide from our locations in Los Angeles, Victorville, Elk Grove and Las Vegas.